You can basically use any vegetables you like for this recipe. I’ve always made it with eggplant but didn’t have any in the house. You can also use broccoli or asparagus. Split spaghetti squash and clean out seeds. Bake cut side down on a cookie sheet in a 375 oven for 30 minutes. Scrape strands out with a fork. Set aside. Cook all the chopped veggies in olive oil until semi soft. Add seasonings, salt, pepper, garlic and spaghetti sauce. Add cooked squash and mix all together. Note: You can also save the emptied out squash halves, refill with finished veggie mixture, top with cheeses and set under a broiler to melt the cheese. Serve in squash halves for a great presentation. 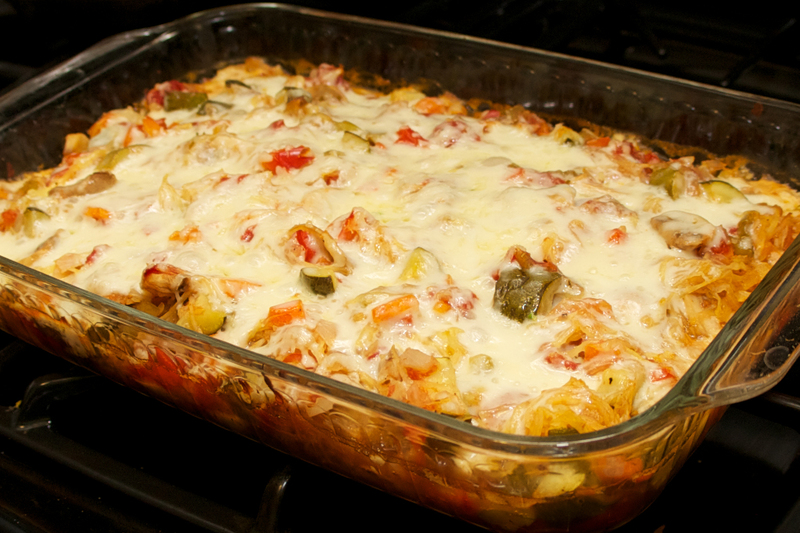 This entry was posted in Uncategorized and tagged primavera, spaghetti squash, spaghetti squash primavera. Bookmark the permalink. Wow! Great looking dish. 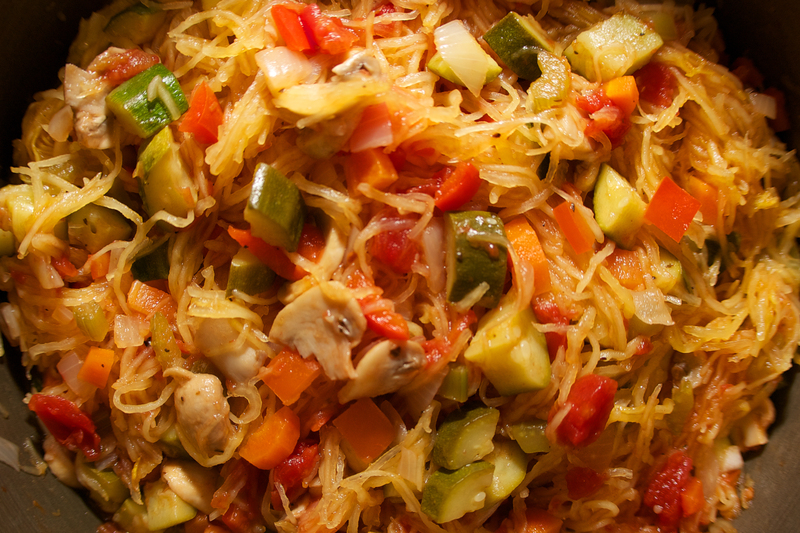 I think Spaghetti squash is magical – this will be a great thing to serve to my vegan niece. Looks delish! Other than chopping up veggies, this is a super simple recipe. I love spaghetti squash! !